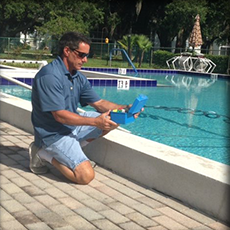 Whether you need water testing, tile cleaning, or algaecide treatments, Shore Commercial Services can handle all of your pool maintenance services. Our licensed technicians also can handle all of your heating and cooling needs, including air conditioner system replacements. In addition, we do electrical work, including ceiling fan installations, outdoor kitchen wiring, and so much more. 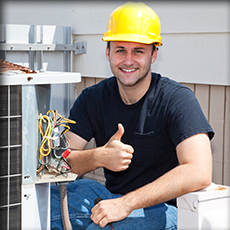 Shore Commercial Services in Hudson, Florida, provides residential and commercial HVAC services and electrical work. 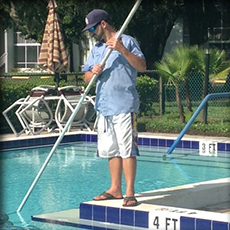 We also offer pool cleaning and maintenance and propane services in Tampa Bay, Florida, and surrounding areas. Founded in 1989, our locally-owned-and-operated company is the premier service contractor in the state. We were incorporated that year following a demand from our gas customers for equipment service. When our owner established our business, we working on other people's equipment. Since, we have evolved to offering our own equipment, and have grown to be the Bay Area's most reliable and respected warranty service company. Our business hires licensed contractors and skilled technicians with extensive factory training who pride themselves on providing quality services. 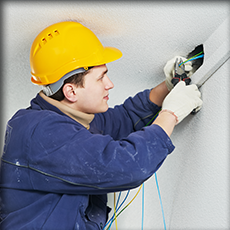 Our polite, uniformed technicians are carefully screened and trained. We perform background checks, random drug tests, and verify driver's licenses. Our technicians are full-time employees, not subcontractors, and we train them continuously to provide the best services possible. Our 12 full-time repairmen are ready to help you. Our customers return again and again because they know we do every job right the first time around, and our business is constantly evolving to ensure we can meet your needs.